Shoestring 9/11: Why Were U.S. Intelligence Facilities in an 'Information Void' During the 9/11 Attacks? Stuart and McNulty's units had crucial roles to play on September 11. NEADS, based in Rome, New York, was responsible for coordinating the U.S. military's response to the hijackings. And "air defense around Washington, DC," according to Knight Ridder, was provided "mainly by fighter planes from Andrews Air Force Base," which is just 10 miles from the capital. The DC Air National Guard was in fact known as the "Capital Guardians." It was therefore essential that Stuart and McNulty be provided with up-to-the-minute information on the attacks. That, however, did not happen. Although many key facilities were unaware of what was happening at the time the WTC towers were hit, indications of the crisis had been evident much earlier on. These indications were received or noticed by the Federal Aviation Administration (FAA), which is responsible for operating the U.S. air traffic control system, or by American Airlines. American Airlines, like the FAA, was aware of the crisis well before the first plane hit the WTC. At 8:19 a.m., Betty Ong, one of the flight attendants on Flight 11, contacted the American Airlines Southeastern Reservations Office in Cary, North Carolina, and, in a 25-minute phone call, relayed crucial information about what was happening on her plane. A couple of minutes after Ong's call began, a supervisor at the reservations office called the American Airlines System Operations Control Center in Fort Worth, Texas, and alerted it to the information that Ong was providing. And at 8:32 a.m., Amy Sweeney, another of the plane's flight attendants, reached the American Airlines flight services office in Boston. In a 12-minute phone call, she provided details of the crisis to the manager there. The SIOC should have been well suited to handling the 9/11 attacks. The United States Government Interagency Domestic Terrorism Concept of Operations Plan of January 2001 stated that the SIOC's role was "to coordinate and manage the national level support to a terrorism incident." The purpose of the center, according to FBI officials, was "to keep the FBI updated on any crisis through sophisticated computers and communications equipment." Fred Stremmel, an FBI counterterrorism analyst, was in the SIOC when the attacks began and has described events there. According to his account, those in the center only realized the U.S. was under terrorist attack when they saw the second plane hitting the WTC on television. The NMJIC should presumably, therefore, have been aware of the crisis on September 11 from the outset. But when Stuart called the Air Force desk there, he found that the NMJIC "had no additional relevant information" it could provide him with. Furthermore, personnel in the NMJIC appear to have remained poorly informed about the unfolding emergency after Stuart contacted them, and they were even unaware that their building had been hit when it was attacked at 9:37 a.m.
Marc Garlasco, a senior intelligence analyst at the Pentagon, was in the NMJIC on September 11. Garlasco has recalled that he was in a meeting that morning and only learned of the crisis when a colleague said to him, "Oh, you know, [the World Trade Center has] been hit." He then started watching the television coverage of the crash and therefore saw Flight 175 hitting the South Tower at 9:03 a.m. Even Michael Hayden, the director of the NSA at the time, was unaware of the crisis when the WTC towers were hit. Hayden was in his office, holding a routine meeting with a few senior agency officials, when he received his first notification of what was happening. His executive assistant came in and told him a plane had hit the World Trade Center. Hayden thought the crash was probably a "horrible accident." "The immediate image I had was a light plane, off course, bad flying," he has said. The NSA's lack of awareness is particularly notable because the agency has a facility that is meant to detect when an attack is about to take place. The Defense Special Missile and Astronautics Center (DEFSMAC), located in the NSA's main operations building, is intended to serve as "the nation's chief warning bell for a planned attack on America," according to Bamford. DEFSMAC "serves as the focal point for 'all-source' intelligence--listening posts, early-warning satellites, human agents, and seismic detectors," and its analysts spend their time "closely monitoring all intercepts flooding in; examining the latest overhead photography; and analyzing data from early-warning satellites 22,300 miles above the equator." The center will then "flash the intelligence to the U.S. Strategic Command at Offutt Air Force Base in Nebraska, NORAD at Cheyenne Mountain in Colorado, and other emergency command centers." A former NSA official explained that DEFSMAC "has all the inputs from all the assets and is a warning activity. They probably have a better feel for any worldwide threat to this country from missiles, aircraft, or overt military activities, better and more timely, at instant fingertip availability, than any group in the United States." And yet DEFSMAC failed to pick up the signs of the 9/11 attacks. Bamford noted, "On the morning of September 11, DEFSMAC learned of the massive airborne attacks after the fact--not from America's multibillion-dollar spy satellites or its worldwide network of advanced listening posts, or its army of human spies, but from a dusty, off-the-shelf TV set." DEFSMAC's failure would have had serious consequences. According to Bamford, "Upon receiving indicators that an attack was imminent, DEFSMAC officials would immediately send out near-real-time and in-depth, all-source intelligence alerts to almost 200 'customers,' including the White House Situation Room, the National Military Command Center at the Pentagon, the DIA Alert Center, and listening posts around the world." But because DEFSMAC failed to pick up signs of the 9/11 attacks, these "customers" would have lacked the early warning the center should have provided. And since NORAD is the military organization responsible for monitoring and defending U.S. airspace, we might reasonably expect personnel in its operations center to have been very much aware of the crisis taking place in the skies over America on September 11. But, as officers who were on duty in the CMOC that day have made clear, this was not the case. WAS THE INFORMATION BLACKOUT CAUSED BY SABOTAGE? The evidence described above raises many questions that require serious investigation. Other facilities, besides those discussed here, were presumably in the same "information void" during the 9/11 attacks. Investigators and researchers should determine if this was the case. If it was, which facilities were affected, and what problems did they experience? We also need to know when key facilities and agencies, such as those contacted by Mark Stuart and David McNulty, finally gained a greater awareness of the crisis and became able to make use of their own capabilities, rather than having to rely on television reports as their main source of information. And we need to determine what caused the information blackout. Have previous investigations looked into this? If so, what did they find? If, as previously suggested, the lack of awareness within the U.S. government and military of the catastrophic events on September 11 was due to sabotage, this would have serious implications. The 19 young Arabs accused of hijacking four planes and carrying out the attacks would surely have lacked the capability to cause an information blackout across numerous intelligence facilities. Highly skilled individuals with knowledge and experience of how the military and intelligence agencies operate must presumably have been involved. If this was the case, it would mean that men who had worked for the U.S. military or U.S. intelligence agencies likely helped plan and carry out the 9/11 attacks. "Memorandum for the Record: Interview With Lt. Col. Mark E. Stuart, USAF, Intelligence Officer, Northeast Air Defense Sector (NEADS)." 9/11 Commission, October 30, 2003; "Memorandum for the Record: Interview With Major David McNulty, Chief of Intelligence, 121st Fighter Squadron, Air National Guard, Andrews Air Force Base." 9/11 Commission, March 11, 2004. Michael Bronner, "9/11 Live: The NORAD Tapes." Vanity Fair, August 2006; Philip Shenon, The Commission: The Uncensored History of the 9/11 Investigation. New York: Twelve, 2008, p. 203. Steve Goldstein, "Focus of Training for Terrorist Attacks Has Been Chemical, Biological Warfare." Knight Ridder, September 11, 2001; "Andrews AFB, Maryland." GlobalSecurity.org, May 7, 2011. Lynn Spencer, Touching History: The Untold Story of the Drama That Unfolded in the Skies Over America on 9/11. New York: Free Press, 2008, p. 122; Andrew Wackerfuss, "'We Did What Guardsmen Always Do': The Air National Guard Responds on 9/11." New Patriot, July/August 2011. 9/11 Commission, The 9/11 Commission Report: Final Report of the National Commission on Terrorist Attacks Upon the United States. New York: W. W. Norton & Company, 2004, p. 20. "Memorandum for the Record: Interview With Lt. Col. Mark E. Stuart." Leslie Filson, Air War Over America: Sept. 11 Alters Face of Air Defense Mission. Tyndall Air Force Base, FL: 1st Air Force, 2003, p. 79; "Memorandum for the Record: Interview With Major David McNulty"; Lynn Spencer, Touching History, pp. 155-156. Dan Verton, Black Ice: The Invisible Threat of Cyber-Terrorism. Emeryville, CA: McGraw-Hill/Osborne, 2003, p. 151. "Summary of Air Traffic Hijack Events: September 11, 2001." Federal Aviation Administration, September 17, 2001; "Transcript American Airlines Flight 11." New York Times, October 16, 2001; "Flight Path Study: American Airlines Flight 11." National Transportation Safety Board, February 19, 2002. Mark Clayton, "Controllers' Tale of Flight 11." Christian Science Monitor, September 13, 2001; Staff Report: The Four Flights. 9/11 Commission, August 26, 2004, p. 9. "Summary of Air Traffic Hijack Events"; 9/11 Commission, The 9/11 Commission Report, p. 19. "Summary of Air Traffic Hijack Events"; "Flight Path Study: American Airlines Flight 11"; "The Skies Over America: The Air Traffic Controllers on 9/11 Saw the Nightmare Coming." Dateline, NBC, September 9, 2006. "Memorandum for the Record: Interview With Darrel Smith." 9/11 Commission, July 13, 2004. 9/11 Commission, The 9/11 Commission Report, pp. 5-6; Staff Report: The Four Flights, pp. 8-12. "Memorandum for the Record: Interview With Major David McNulty." United States Government Interagency Domestic Terrorism Concept of Operations Plan. Washington, DC: Federal Emergency Management Agency, January 2001, p. 20. "FBI Opens High-Tech Crisis Center." CNN, November 20, 1998. "Strategic Information and Operations Center (SIOC) Fact Sheet." 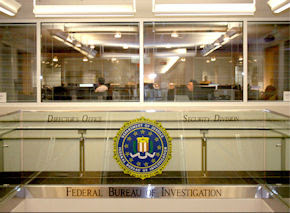 Federal Bureau of Investigation, January 18, 2004. "FBI Opens High-Tech Crisis Center." Jim McGee, "In Federal Law Enforcement, 'All the Walls Are Down.'" Washington Post, October 14, 2001; "Strategic Information and Operations Center (SIOC) Fact Sheet." Ronald Kessler, The Bureau: The Secret History of the FBI. New York: St. Martin's Press, 2002, p. 5. "Memorandum for the Record: Interview With Attorney General John D. Ashcroft." 9/11 Commission, December 17, 2003. Jim McGee, "In Federal Law Enforcement, 'All the Walls Are Down'"; Garrett M. Graff, The Threat Matrix: The FBI at War in the Age of Global Terror. New York: Little, Brown and Company, 2011, p. 317. "September 11, 2001." New Yorker, September 24, 2001; Ronald Kessler, The Bureau, pp. 419-420; Garrett M. Graff, The Threat Matrix, pp. 314-315. "Memorandum for the Record: Interview With Major David McNulty"; Lynn Spencer, Touching History, pp. 155-156. Ernest Blazar, "Inside the Ring." Washington Times, September 25, 1997; "National Military Joint Intelligence Alert Center." Joint Chiefs of Staff, February 6, 2006. James R. Clapper Jr., "Challenging Joint Military Intelligence." Joint Force Quarterly, Spring 1994. "The Pentagon on Sept. 11: One Survivor's Account." Fresh Air, NPR, May 22, 2008. Leslie Filson, Air War Over America, p. 79. James Bamford, Body of Secrets: Anatomy of the Ultra-Secret National Security Agency. New York: Doubleday, 2001, pp. 4, 482; George Cahlink, "Breaking the Code." Government Executive, September 1, 2001. Leslie Filson, Air War Over America, p. 79; "Memorandum for the Record: Interview With Major David McNulty." James Bamford, A Pretext for War: 9/11, Iraq, and the Abuse of America's Intelligence Agencies. New York: Doubleday, 2004, pp. 18, 20; Sara Sorcher, "Former, Current Officials Reflect on Bin Laden Hunt a Decade After 9/11: Video." National Journal, September 8, 2011. Ariel Sabar, "General Goes a Little Public to Enhance Image of NSA." Baltimore Sun, April 19, 2002; "9/11 10 Years After: Interview With Andy Card; Interview With Michael Hayden." Live Event/Special, CNN, September 11, 2011. James Bamford, A Pretext for War, pp. 18, 20. Ibid., p. 33; "9/11 10 Years After: Interview With Andy Card; Interview With Michael Hayden." James Bamford, A Pretext for War, pp. 33-35. "Memorandum for the Record: Interview With Lt. Col. Mark E. Stuart"; "Memorandum for the Record: Interview With Major David McNulty." Lynn Spencer, Touching History, p. 155; Sharon Weinberger, "What is SIPRNET?" Popular Mechanics, December 1, 2010. William B. Scott, "Command Cells Speed Airspace Reactivation." Aviation Week & Space Technology, June 10, 2002. Lynn Spencer, Touching History, pp. 155-156. "Cheyenne Mountain." North American Aerospace Defense Command, November 27, 1999. Scott Simmie, "The Scene at NORAD on Sept. 11: Playing Russian War Games ... and Then Someone Shouted to Look at the Monitor." Toronto Star, December 9, 2001. Pat McKenna, "The Border Guards." Airman, January 1996. "NORAD." The Early Edition, CBC, September 8, 2011. "In Their Own Words--NORAD Members Recall September 11, Part 3: Steve Armstrong." North American Aerospace Defense Command, September 9, 2011. Kevin Simpson, "Rearmed Forces: 9/11 Changed Military Life in Colorado." Denver Post, August 28, 2011. Steve Mertl, "Canadian General Who Led NORAD on 9/11 Praises its Performance, Considering." Canadian Press, September 10, 2006.